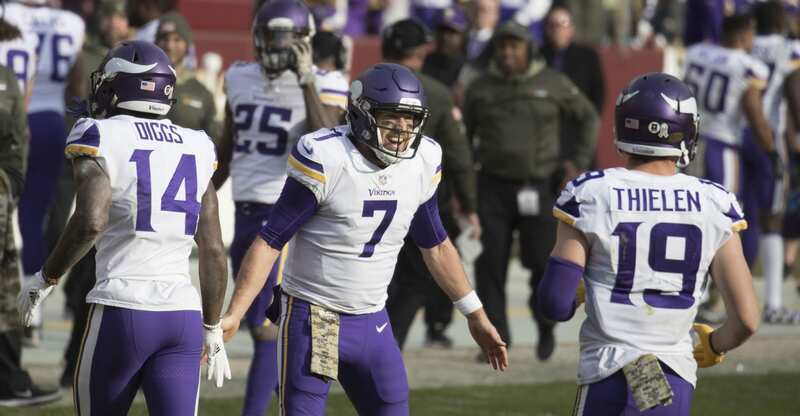 Minnesota Vikings quarterback Case Keenum was named the NFC Offensive Player of the Month for November. Keenum completed 69 of 97 passes for 866 yards and seven touchdowns, helping the Vikings to a 3-0 record in November. 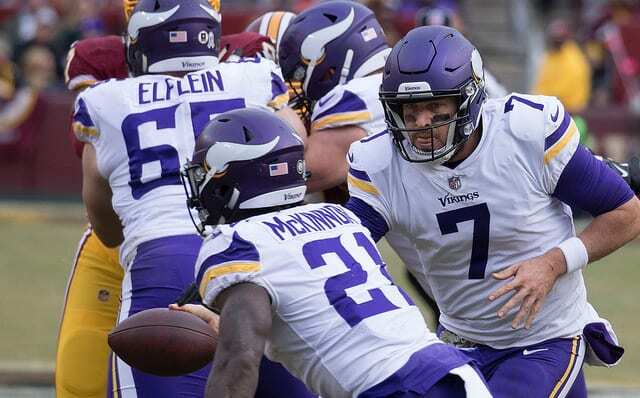 An offseason free agent signee, Keenum began the year as the the backup until Sam Bradford suffered an season-ending injury against the Chicago Bears in Week 2. Since then, he has thrown 14 touchdown passes and the Vikings (9-2) have a three-game lead in the NFC North Division. But, the road to success has been filled with potholes for Keenum. 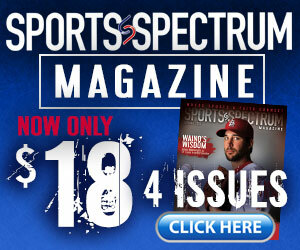 During his senior season at the University of Houston he tore his ACL. Once he got his shot to start in the NFL, he lost his first eight starts. It all taught him an important lesson to rely on something greater than success on the football field. “You just realize that football is fickle; it’s not going to be there all the time. Just getting my priorities straight and knowing the true reason I play the game, and that’s to give glory to God. That’s something I take pride in. 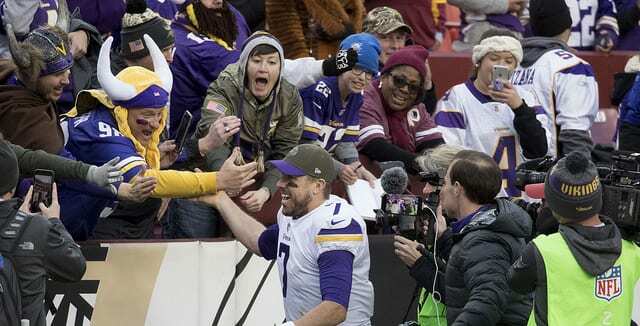 It’s why I do what I do,” Keenum told the Pioneer Press. Keenum and the Vikings visit the defending NFC Champion Atlanta Falcons (7-4) at 1 p.m. on Sunday.